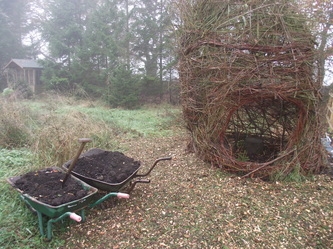 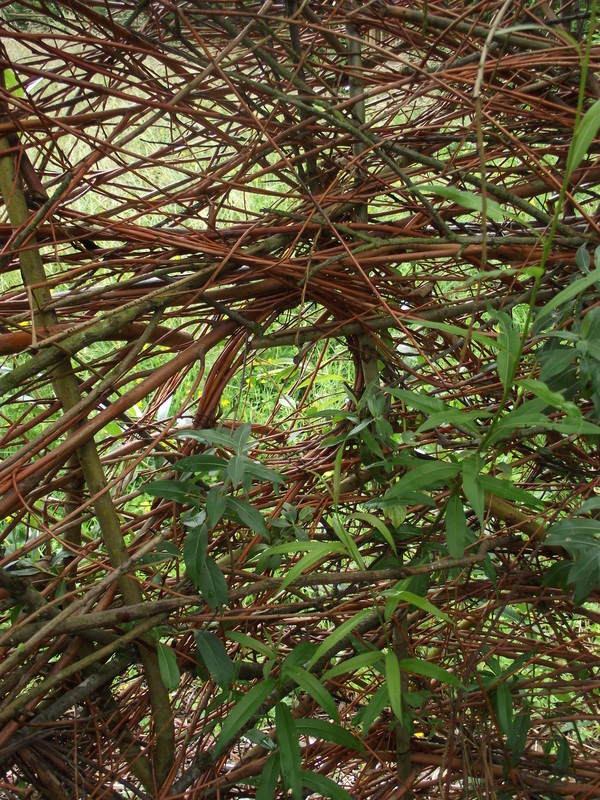 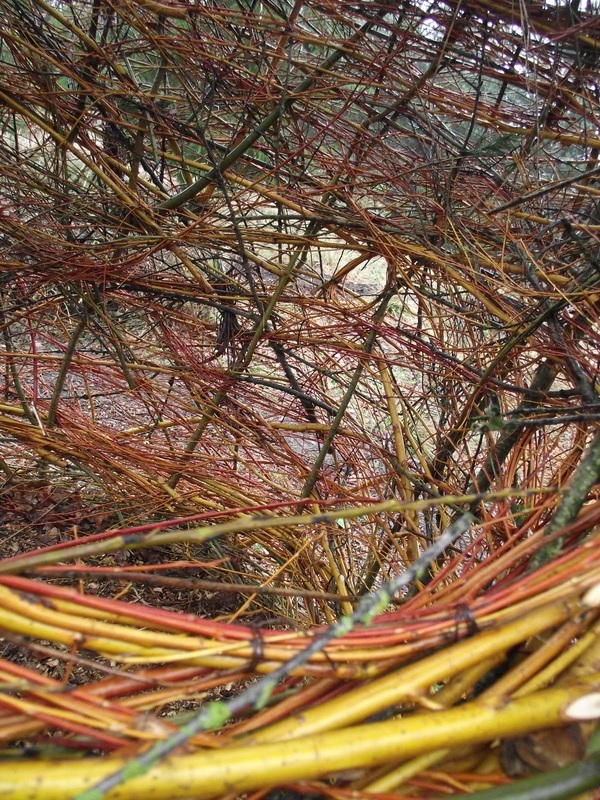 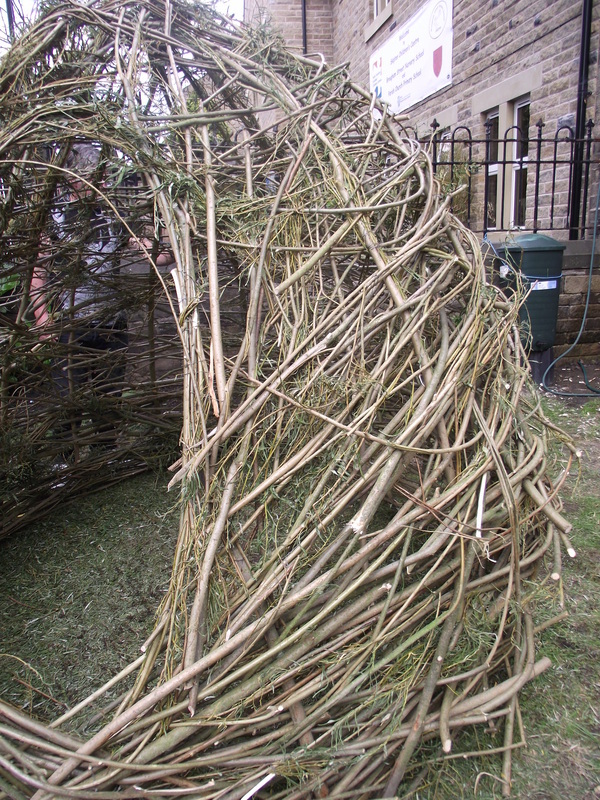 Inspired by the history of the land and the inherent ethics of Horticap as a caring environment for adults with learning difficulties this willow structure is the result of the collaboration between myself, Andy Lawrence and the students at Horticap. Combined with personal memories of playing in hollow trees as a child, and the historical aspect of the land once being owned by the Blue Coat Charity who provided tuition and lodgings for poor and orphaned children in the 18th century, the structure appropriates aspects of shelter and refuge. 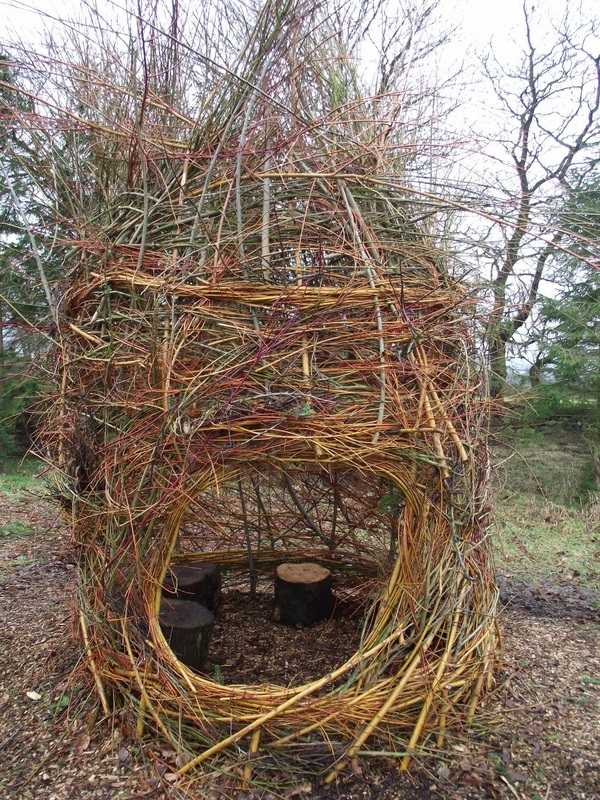 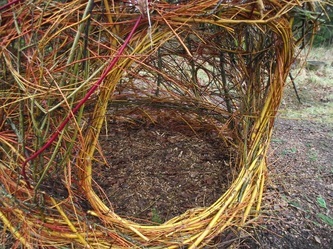 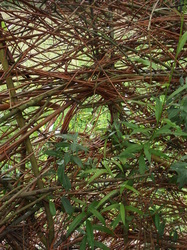 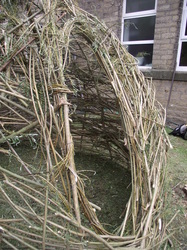 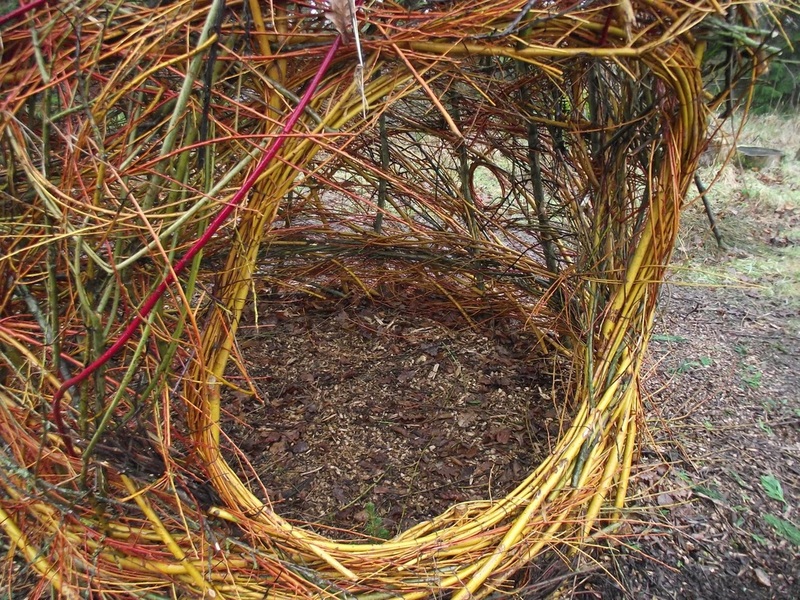 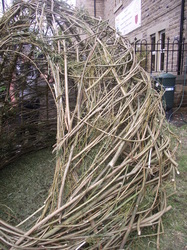 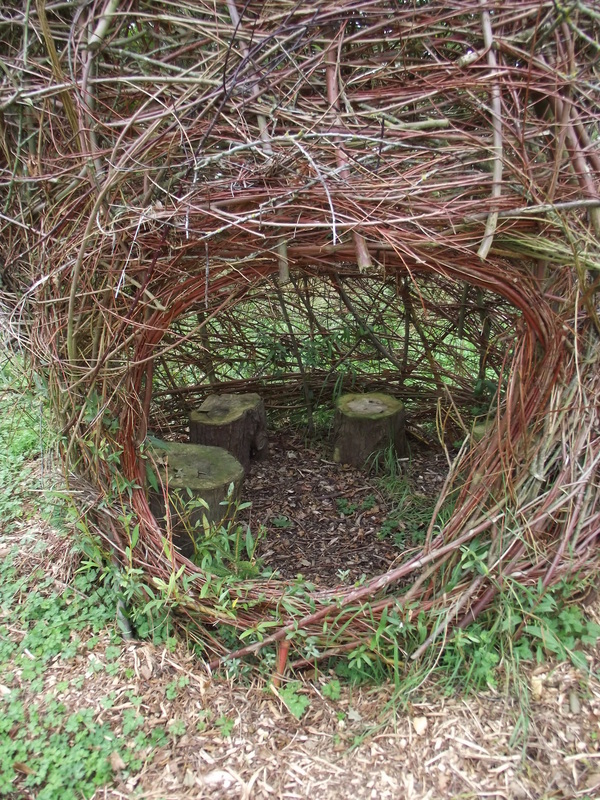 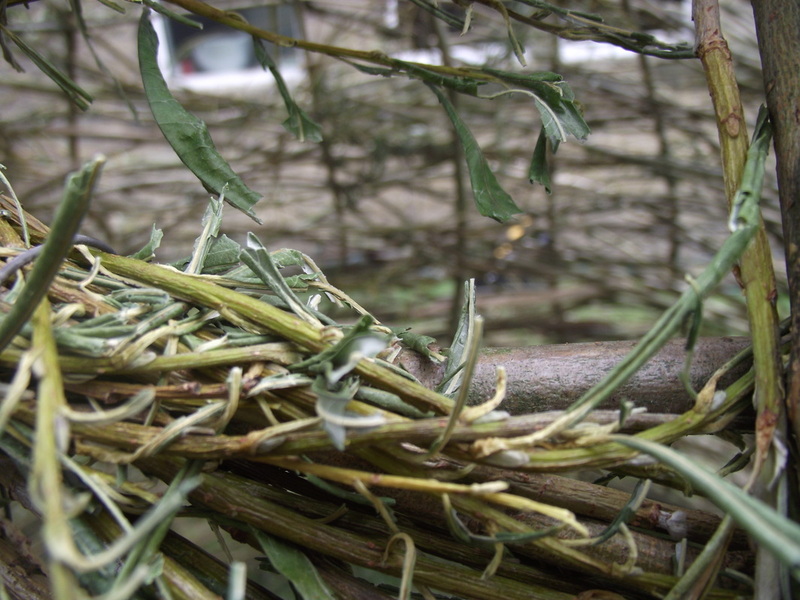 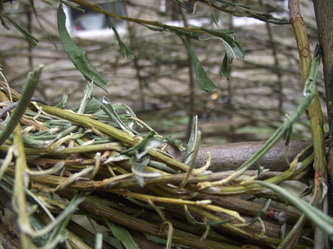 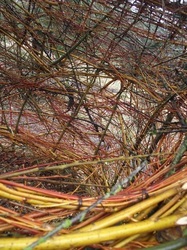 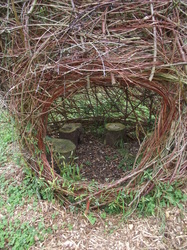 As part of an Art Festival at Parish Church Primary School Skipton this willow den was constructed with the children of Class 6. 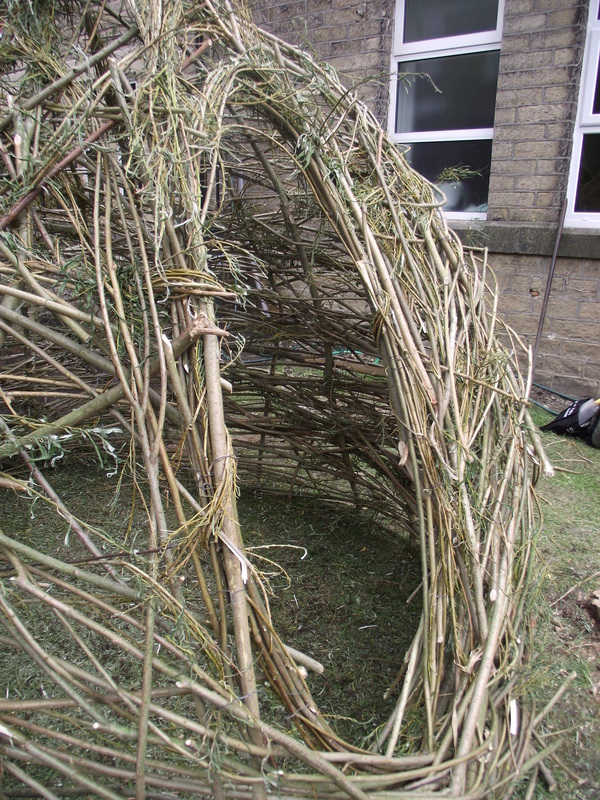 As a direct response to den making and childhood experiences it is a permanent structure anchored to the landscape through penetration of the land itself. 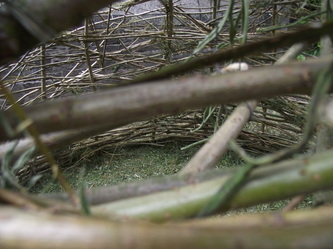 Through the physical making and constructruction of the den the children experienced a real sense of ownership and achievment . 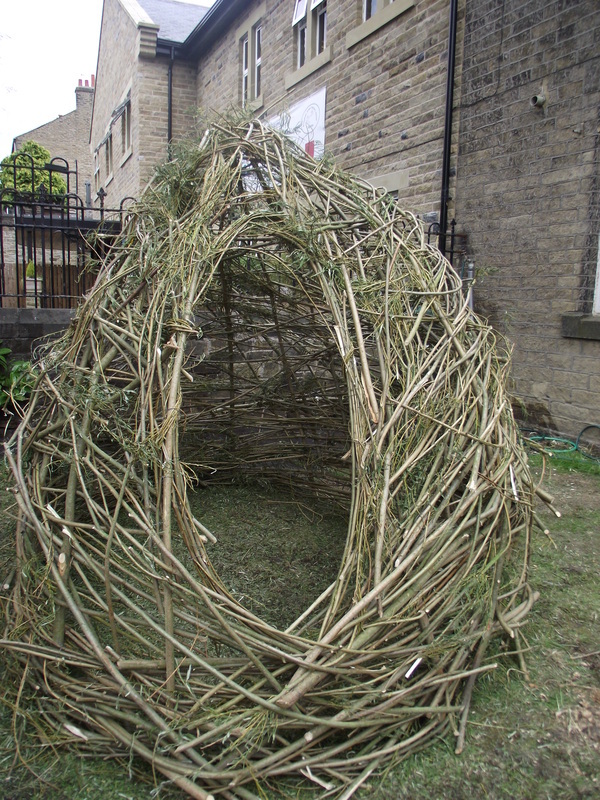 They created a permanent fixture a place to meet, chat, dwell and enjoy!